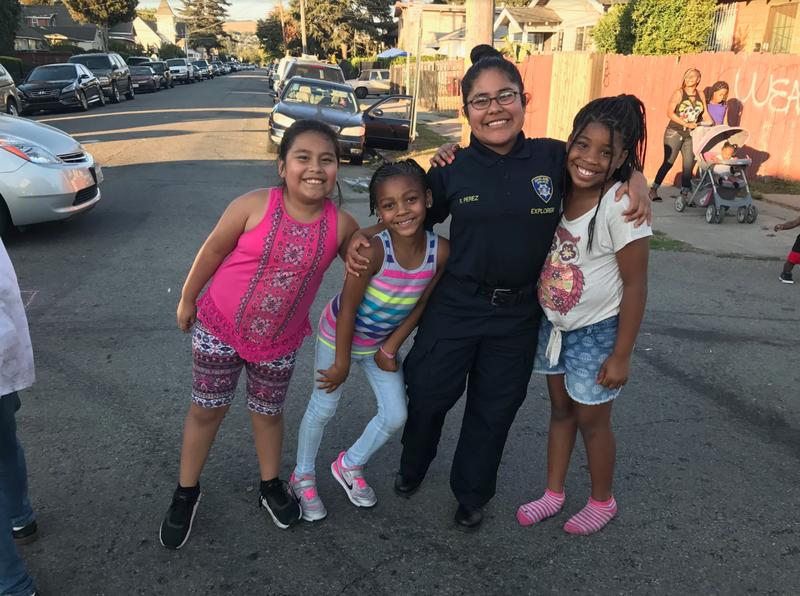 During the 6 weeks of our summer programming, our Teen Club participants and Youth Leaders worked on a project to improve community-police relations. They decided to take part in National Night Out and hold a block party one block up from EOYDC on Holly St. between 82nd and 84th Ave. The block party included a DJ, bounce house, free food, tug-of-war, four square, slime table, volleyball, and a prize table. The entire program was planned and executed by the young people with the guidance and assistance of the adult ASLA staff, (Roxie Perez, youth leader and police explorer pictured above with students). We also appreciated the attendance of the City of Oakland Public Safety Manager, Venus Johnson along with several staff and our Oakland police officers.